Dartmouth is an ancient borough with a history of settlement going back to prehistoric ages. 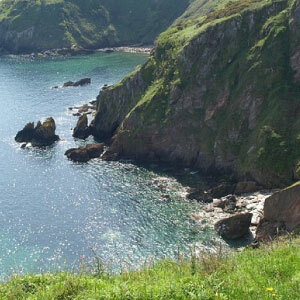 In early times, when marauders of all sorts ravaged the coast, towns were placed some distance inland, safe from raids, and so it was that the first occupancy was at Townstal, at the top of the hill. As trade grew and the danger from attack lessened, towns were built at the mouths of rivers; thus in the 11th century, two fishing hamlets sprang up at the mouth of the River Dart. One called Hardness, and the other called Clifton-Dartmouth. These were the humble beginnings of the Dartmouth of today. Much of the lower part of the town, from the river bank inland as far as the Guildhall, has been reclaimed from the river in various stages since medieval times. There are clues to this in some of the street names, such as Ford, King`s Quay, Vavasour`s Slip, etc. The most recently reclaimed section is Coronation Park, which was completed in 1937. The civic history of Dartmouth is extensive and detailed, and its importance as a port is evidenced by the number of visits by Royalty since Rufus sailed from there to Normandy in the last years of the 11th century. King John stayed in the town for three days in June 1205, and was there again in October 1214, when he reputedly “gave privilege of Mairalte to Dertmouth”. However, there is no charter still in existence to confirm this. His likeness, though, does appear on two ancient seals currently on display in the town museum. One seal is that of the Mayor – the other is that of the Borough, and both images have been represented in the Town Crest down through the centuries. Copies of the seals were submitted to the British Museum in 1875 for evaluation. 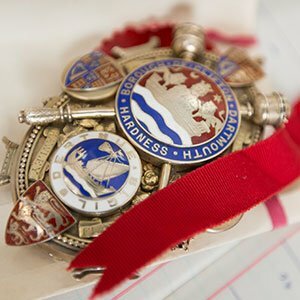 The opinion given was that the Mayor’s Seal was made in the 14th century, and the Borough Seal was of the time of Edward l. Both seals were thought to be copies of earlier seals. Other Royal visitors include Charles ll; Victoria; Edward Vll; George V; Edward Vlll (as Prince of Wales); George Vl; and Elizabeth ll, together with their families. In the 13th century, the Lords of Townstal were permitted to hold weekly markets and an annual fair – the first step towards becoming a Borough. During the 13th and 14th centuries, Dartmouth rivalled the Cinque Ports in importance and fame, and for a time it was one of the foremost seaports in the provinces. Dartmouth has always provided ships and men to fight for the sovereign of the day, (e.g. 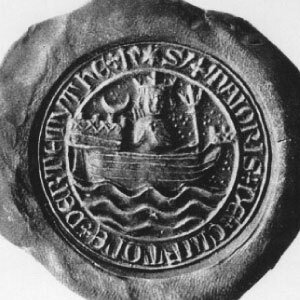 37 ships sailed from the port in 1190 to join the Crusades) and this was rewarded in 1341 by Edward lll, when he granted Clifton Dartmouth Hardness full Borough status. 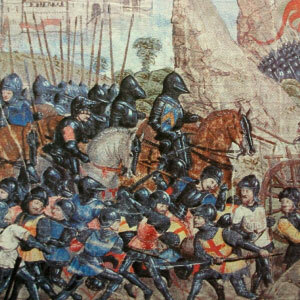 The siege of Calais (1347) ranked Dartmouth the third port in the kingdom, Dartmouth finding 31 ships and 757 men, while Plymouth only found 26 ships and 603 men. The town’s high status was confirmed in 1390, by its appointment as the sole port for the export of tin. Dartmouth provided two vessels, the Crescent and the Hart, to join the fleet against the Armada in 1588. The Mayflower and the Speedwell left from Bayard’s Cove, Dartmouth, in 1620 taking pilgrims to America. Local merchant adventurers, including Humphrey Gilbert, obtained a predominant share of the Newfoundland trade in the 16th century, and many of the Mayors were men connected with that trade. During the Civil War, Dartmouth was decidedly on the side of Parliament. 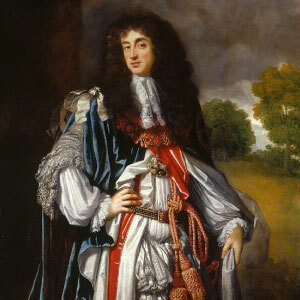 After a month-long siege, it fell into the hands of the Royalist army, but was regained by Sir Thomas Fairfax in 1646. Probably the worlds most important and significant inventor was Thomas Newcomen born in Dartmouth on 24 February 1664. 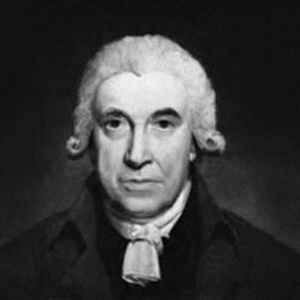 He invented the world’s first steam engine in 1712. He was an iron monger by trade and a Baptist lay preacher by calling. The engine was the catalyst that changed the world from man power to the modern day. His engines were used to pump out water through out Cornwall’s tin mines and the Black Countries coal mines. 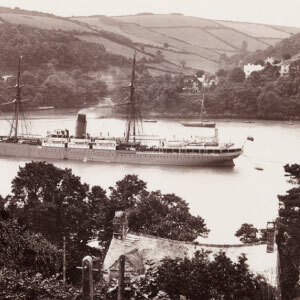 In more recent times, the port of Dartmouth has continued its naval connection as the home of naval officer training – initially in HMS Britannia on the River, and since 1905 at Britannia Royal Naval College on land. In the second World War, over four hundred ships were assembled in the port in readiness for the D-Day landings in 1944. The full trappings of Mayor and Corporation, with Aldermen and Councillors, came into being through a Royal Charter (James ll) in 1604, and this system continued until 1974 when local government was reorganised, and the town lost most of its powers and responsibilities to a District Council. Nevertheless, Dartmouth still retains the right to elect a Mayor annually from amongst its sixteen Councillors. In important boroughs such as Dartmouth, the Mayor and Corporation were granted authority by Royal Charter to carry on the business of managing the town on behalf of the King. 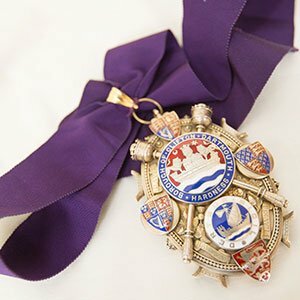 As a symbol of that Royal authority, boroughs were entitled to have one or more ceremonial maces to be carried before the Mayor by the Serjeants-at-Mace. Dartmouth possesses four such maces, as described in more detail within the Regalia Booklet (copies available to purchase at a cost of £2.50 from the Council Offices). 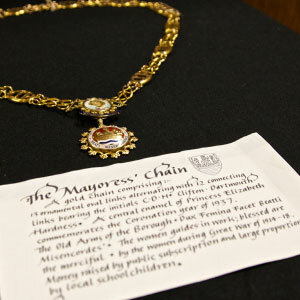 In the late 19th century, it became common for Mayors to wear a chain of office (not all towns being in possession of a mace), to signify that they were acting in their official capacity. The Dartmouth chain of office dates from 1895, and is a particularly fine example of its type. This brief outline of Dartmouth’s civic history serves to illustrate its importance as a port down through the centuries. It also seeks to put into context the reasons why the town possesses so many fine examples of Civic Insignia.